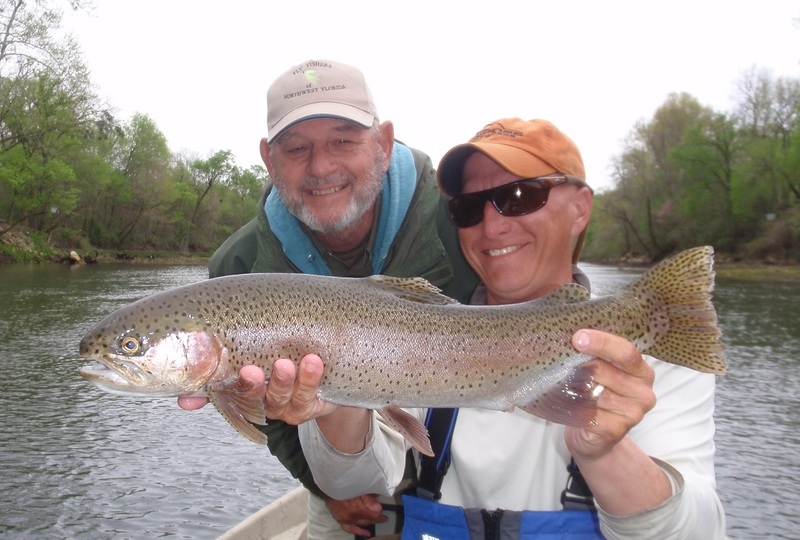 Raised in a "Sportsman's Paradise" or Southern Louisiana, Larry grew up surrounded by some of the best salt and freshwater fishing in the country. Redfish and specks were his fish of choice, but he found that bass and panfish would also give him a pretty good tug. His job history first took off in the corporate world, putting his "big boy pants" on one leg at a time. Wheels were set in motion to bring Larry back to his roots and true calling in life. 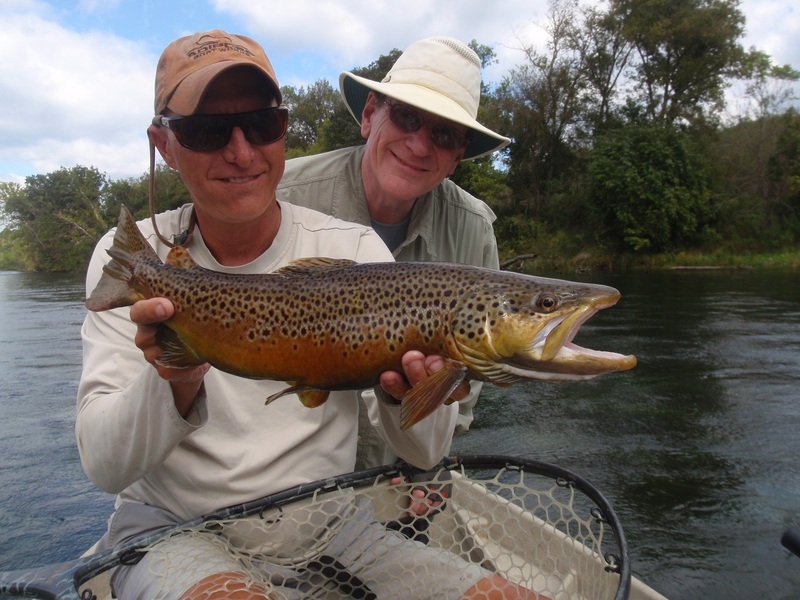 Larry began fly fishing in 1994 fishing for a species known as "the fish of a thousand casts", the musky. 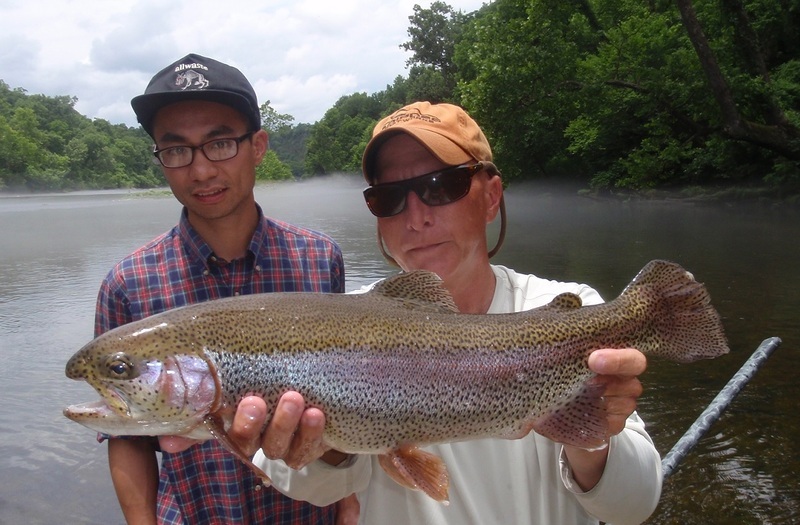 Persistence paid off, and he became very proficient at finding this wild and toothy critter. 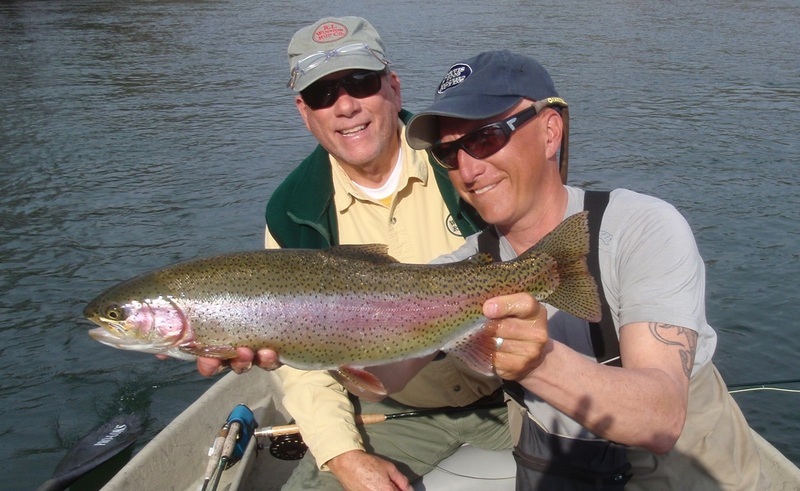 Larry also found that trout were more than willing to eat a fly and soon enrolled in the guide school at Hubbard's Yellowstone Lodge. 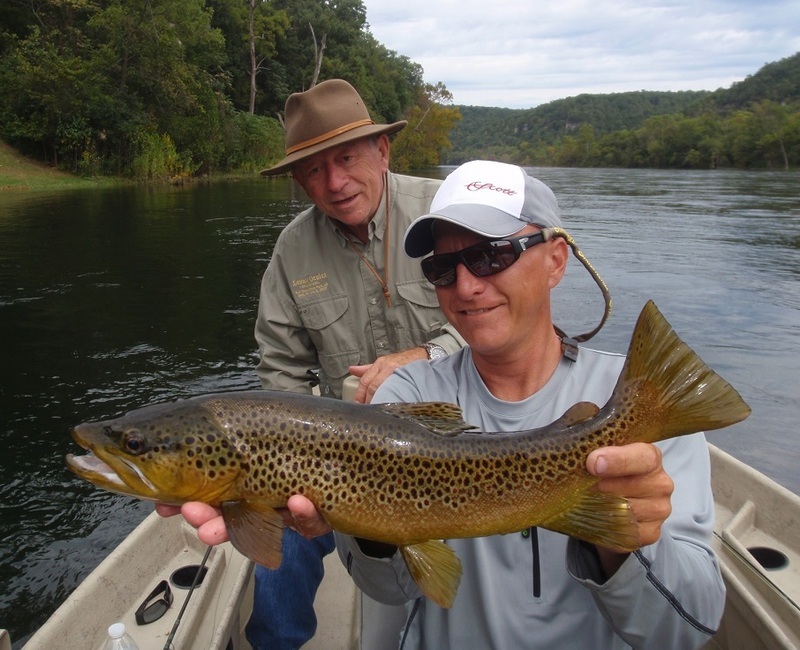 Larry has guided for a number of resorts, fellow guides, and on his own for the past five years where he calls Mountain Home, AR home. Larry is an outstanding guide with more tricks up his sleeve than David Copperfield, the patience of Job, and a work ethic to boot. 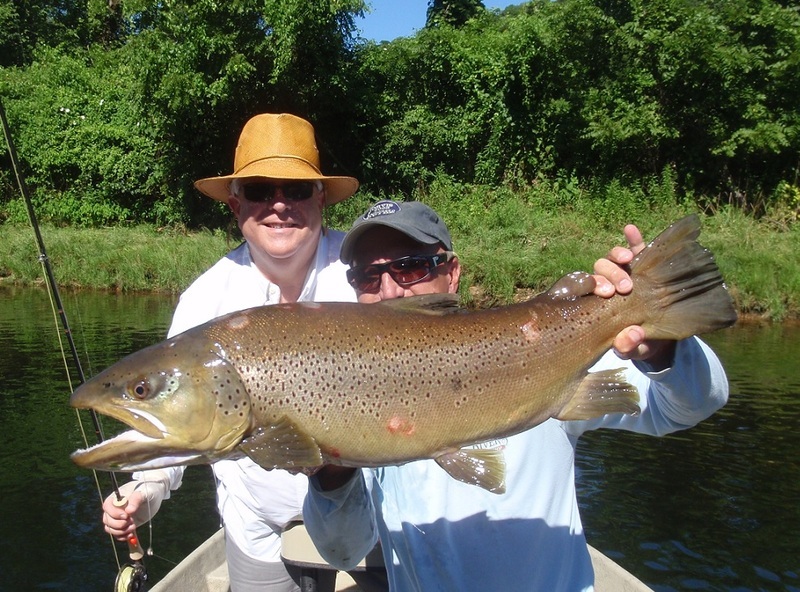 A guided trip on the river with Larry is specifically curtailed to the needs and wants of the client. 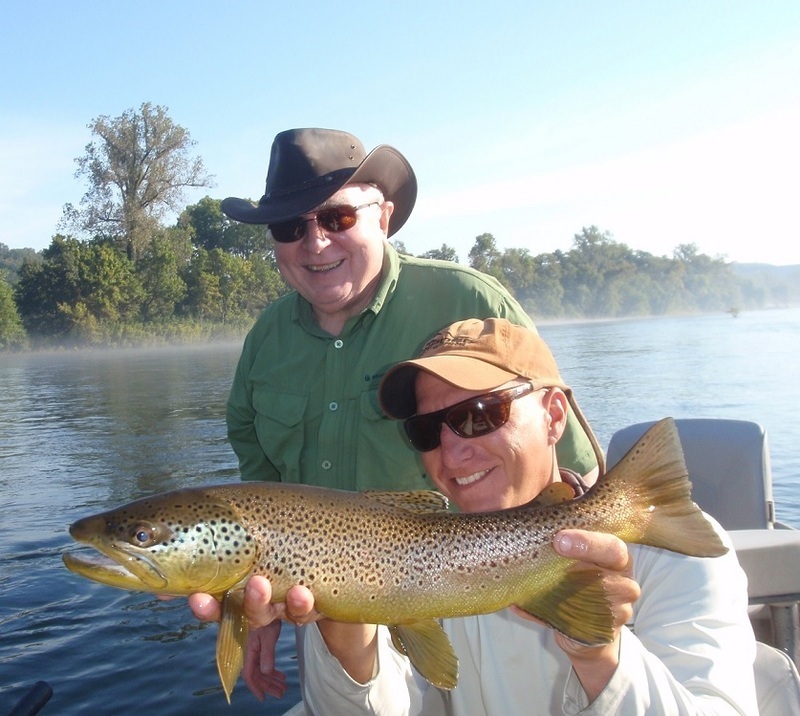 Larry's abitlity to put multiple game plans in place ensures that the client is provided with a first class experience on the White River tailwater bellow Bull Shoals Dam, the Norfork tailwater, or smallmouth fishing on Crooked Creek. 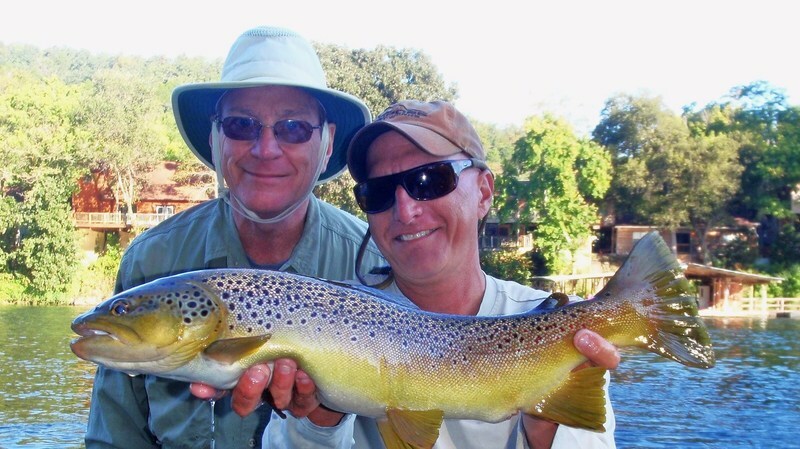 Whichever the case, Larry's main goal is to provide a safe, educational, and most of all EXCITING day on the water. 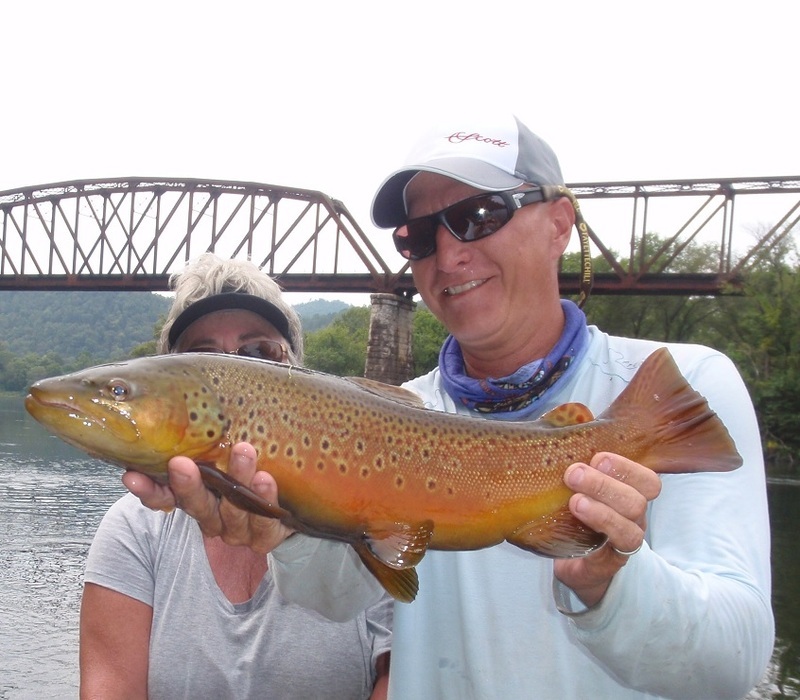 We are fortunate to have a year-round fishery which offers a diverse range of opportunities to land trophy trout so stay tuned with Hogs on the Fly for updated river and fishing reports. Tight lines!